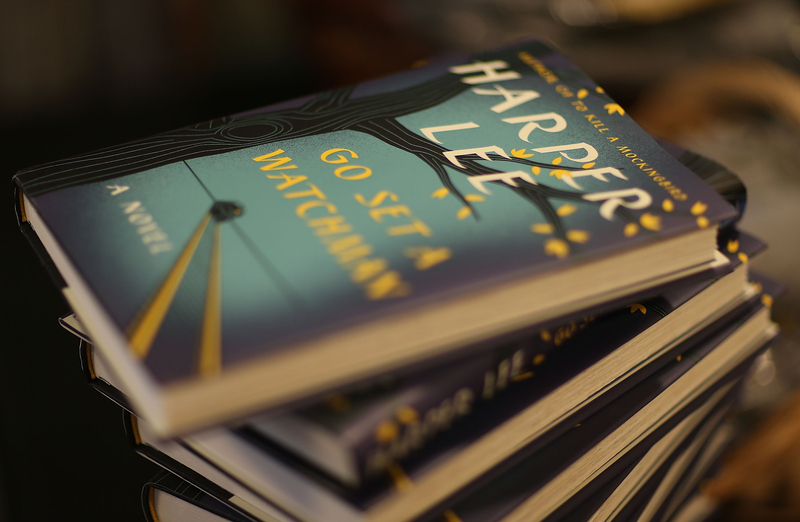 'Go Set a Watchman' by Harper Lee Has Sold More Than 1 Million Copies In Less Than A Week. Wow! Despite its mixed reviews and reader reactions, Go Set a Watchman by Harper Lee has already sold more than 1 million copies. In fact, including print, e-book, and audiobook sales, the novel has sold 1.1 million copies just in the U.S. and Canada. Not bad for a book no one thought we would ever see. There was never any doubt, really, that Go Set a Watchman would be a bestseller. Not only has it been more than 50 years since its beloved author has published a book, but the new novel involves many of the same characters as To Kill a Mockingbird , the American classic that until last week was Lee's only published work. Once the book was announced in February, the worldwide interest was immediate, making it unsurprising that it would sell incredibly well. Still, 1 million copies? That's a biggie. Despite its intense popularity, many people have expressed concern about the novel's publication. The book was originally a draft of To Kill a Mockingbird, which Lee extensively reworked with the help of her editor to eventually produce the classic novel we all know and love. Harper Lee withdrew from the public spotlight shortly after Mockingbird's publication, and has maintained over the decades that she had no intention to publish another book. These facts, combined with reports about Lee's fragile condition at age 89, as well as other murky circumstances surrounding publication, have caused many to speculate that the decision to publish Go Set a Watchman was not really hers at all. The state of Alabama conducted an investigation of possible elder abuse into the matter, and found that Lee was not being taken advantage of. Regardless of the full story surrounding the book's publication, literary fans seem to have been excited to read more from Harper Lee, and that enthusiasm certainly shows in the sales. In response to the demand, publisher HarperCollins has increased the print run of Go Set a Watchman from its original order of 2 million copies to 3.3 million. One thing is for sure: the publication of Go Set a Watchman is shaping up to be the literary event of the summer. It's somehow managed to drum up nearly as much controversy and sales as the new Fifty Shades of Grey book. And, here, I didn't think that was possible.